The tradition of something blue has evolved. 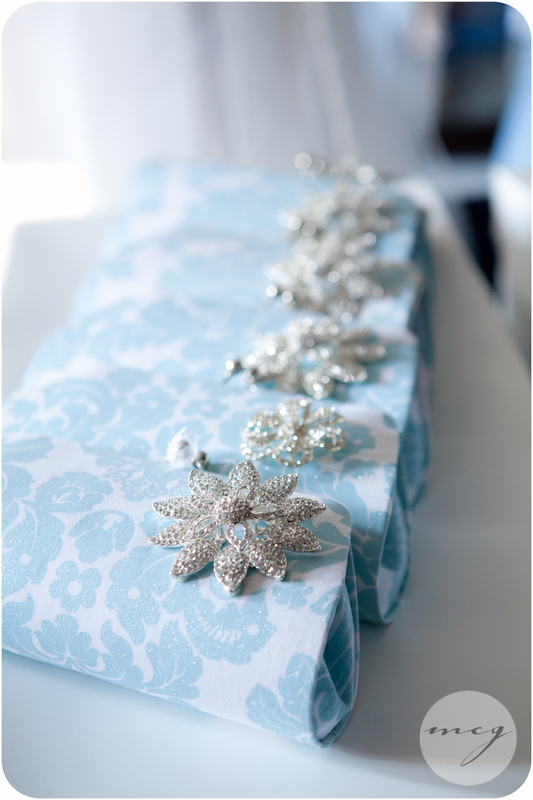 One of our brides wore a champagne sash for the ceremony and switched to a blue sash at the reception. It was a fun way to change the tone from reverent to 'time to play'. Other fun ideas include garters, handkerchief, flowers in your bouquet, undies, 'I do' stickers on your shoes and henna tattoos. All tasteful of course!